Harlequin Fun Casino Hire operates on a ‘secure with deposit’ basis, whereby we require a minimum 50% of the final cost of hire at the time of booking to secure the date of the event. This deposit is then non-refundable. The remainder of the hire fee must be paid no less than 14 days before the event either by Cheque, BACS transfer, PayPal or Ping-IT. You are welcome to pay the full amount at the time of booking should you wish to. If the booking is made within 14 days of the event date, the full amount must be paid upon booking. Full use of the tables booked for up to three hours. Full use of all cards, chips and fun money for the duration of play. Croupiers who will deal for up to three hours. Our standard fee includes up to 3 hours of gaming time. Should you require our services for a longer period of time, gaming time can be lengthened and will be charged by the hour, per table, subject to availability. For pricing details, please contact us. The start of the gaming period will be decided between the client and the croupiers prior to the event. It is the responsibility of the host of the event to ensure guests are aware that the gaming period has begun. Harlequin fun casino will not extend the gaming period if guests arrive late to the tables, or if other parts of the event run late unless a further fee is paid. 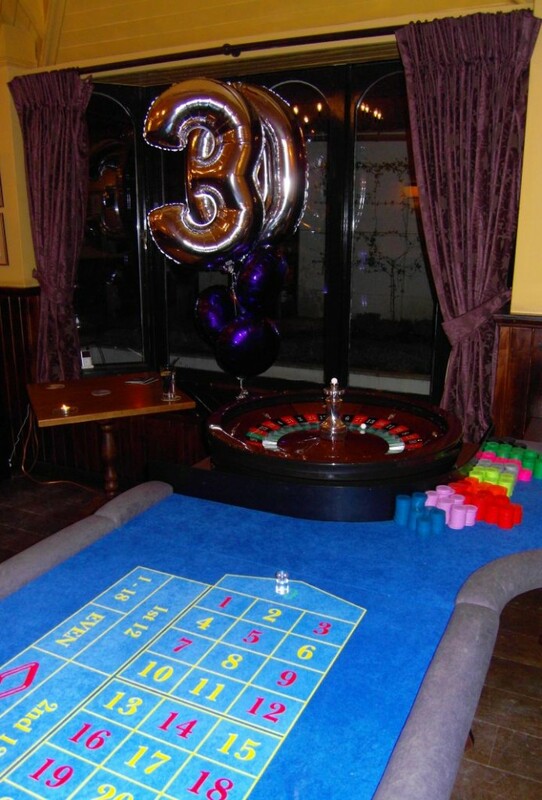 We always arrive in plenty of time to set up the casino tables in preparation for your event. All set up costs and travel costs are included in our standard fee, unless stated otherwise. If you require us to set up more than one hour prior to the start of the gaming period, separate charges will apply. The 50% deposit paid at the time of booking is non-refundable. If you wish to cancel your booking, you will lose your deposit. If the cancellation is more than 14 days prior to the event, you will not be expected to pay the full amount. If the cancellation is less than 14 days prior to the event, you will need to pay the outstanding balance in full within 14 days. If you need to change the date or time of your event, please contact us at the earliest opportunity. Changes to dates made within 14 days of the previously agreed date of event, will be charged a £50 fee. Changes made 15 days or more before the event will not be charged, but will only be authorised if the date requested is available. If the date is not available, Harlequin fun casino will be entitled to the full 50% deposit. If the rescheduled date was requested 14 days or less before the previously agreed date, you will be expected to pay the agreed cost of hire in full by the date previously agreed. Harlequin fun casino reserve the right to exclude any guests from the casino tables if it is believed that their presence at the tables is disruptive, abusive, or inhibiting other guests’ enjoyment of the event. Our staff and croupiers conduct themselves in a professional manner at all times. If at any time during the event, our staff feel threatened or are met with abusive behaviour, whether verbal or physical, from guests, Harlequin fun casino retains the right to cease gaming with immediate effect. In this circumstance, the client will not be entitled to a refund. We understand that accidents happen from time to time however careful we are and therefore we take every precaution reasonable to avoid damage occurring to our casino equipment. For this reason, we ask that no drinks be placed on our casino tables at any time, and food must not be consumed at the casino tables at any time. If damage occurs to the casino tables due to wilful disregard of these rules, the damaged table will be shut down immediately and no refund will be offered regardless of the amount of game play remaining. Very occasionally, we find ourselves in the company of intoxicated or highly enthusiastic guests whose actions threaten to cause significant damage to our casino equipment and/or physical harm to our staff. If, in this situation, a guest causes damage to our casino equipment, whether intentionally or accidentally, the host will be personally accountable for the damage and liable to pay for the repair of the casino tables.